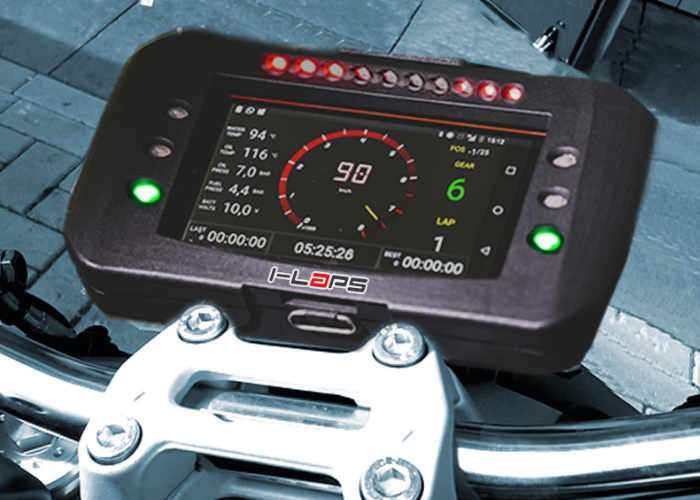 Anyone who enjoys track racing and would like to take advantage of dual way real-time live telemetry and data capture may be interested in a new piece of hardware which transforms your smartphone into a race timer and monitor. iLapsHas been created by Stefano Brozzoni based in London and provides a quick and convenient way to keep track of your race data using your pocket smartphone. Watch the demonstration video below to learn more about iLaps and its features. Ultimate performance is the dream, iLaps helps you turn the dream into a reality. Every action or event for every lap is measured. Performance improvement can be obtained from the analysis of mistakes, especially in motor sport where every tenth of a second counts and you have to deal with a variety of variables often not directly related to the driver, but rather to the vehicle. “We wanted to create an effective telemetry system comparable to those used by Formula 1™ teams but affordable and easy to use by any amateur or professional driver. iLAPS is a very smart system designed to improve the most important part of the racing vehicle – you the driver!” says Stefano Brozzoni iLaps’ inventor. The absolute performance is the result of the driver skills + mental training + vehicle efficiency, and for that, iLaps is able to offer a worthy support for amateurs or professional athletes and teams. The iLAPS system will allow you to instantly analyse your driving performance, giving you immediate access to the data you need to go faster. iLAPS core is your SmartPhone safely protected in high tech case, water and shock resistant able to transform to the smartest Dashlogger it can be used with any type of vehicle: Go-kart, Car, Motorbike, Motocross, ATV, Snowmobile, Powerboat. 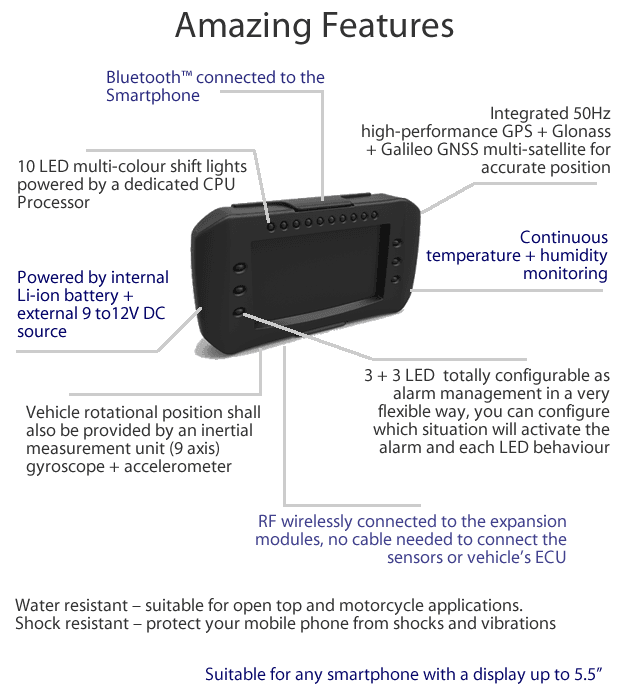 iLaps interfaces with the SIGMA (Sports Interface GPS Mobile Armour): practical dashboard waterproof and shock resistant and equipped with an accurate multi-satellite GNSS GPS with internal GPS antenna which operate at a frequency of 50Hz, able to ensure a margin of error of less than one meter (compared with 30 meters of the ordinary cell phone built-in GPS).